Our last day in Venice was spent wandering around and exploring the streets and canals. Aside from visiting the usual tourist attractions, walking and getting lost in Venice is the best way to experience the city. Armed with our map and camera, we began strolling and immersing ourselves in this lovely setting. 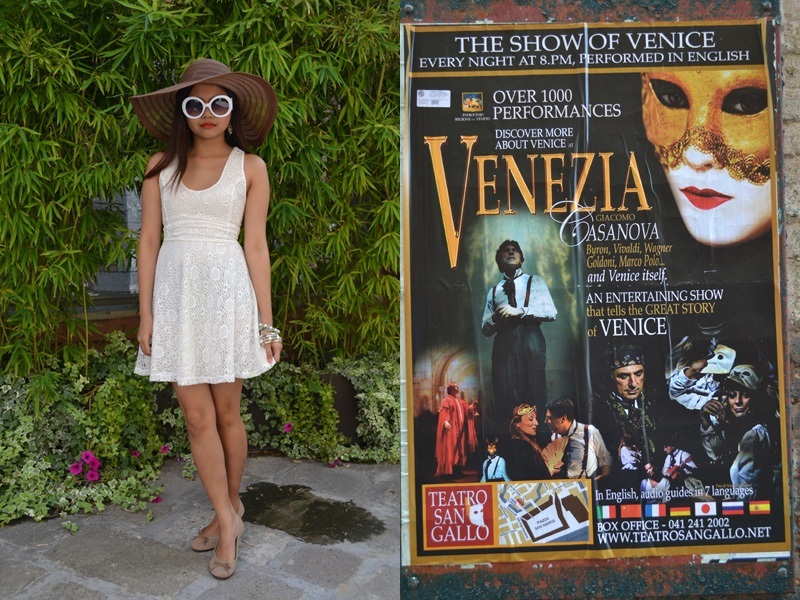 Venice is so beautiful and every corner seems to be a perfect location for pictures. The city's stunning architecture is a sight to behold. I felt like I was in a Shakespeare play looking at all these buildings, little balconies and bridges. Charles sitting on the steps of Basilica di Santa Maria della Salute, one of the Roman Catholic churches in Venice. Venice is truly a unique city. Where else in the world do you have a body of water separating buildings instead of roads? Cruising the Venetian canals on a gondola. There are lots of things to do in Venice. You can go to museums, watch an evening show, shop for luxury designer brands, visit top attractions such as the Doge's Palace, Rialto Bridge, Piazza San Marco as well as feast on the gastronomic delights that Italian Cuisine has to offer. Getting around Venice is quite easy. If you don't want to walk, you can hop onto any of the water buses, water taxis or gondole that travel along the Venetian water ways. I wore this lovely white crochet dress from SM GTW (similar here.) It's light and breezy and the perfect thing to wear while out and about in Venice. 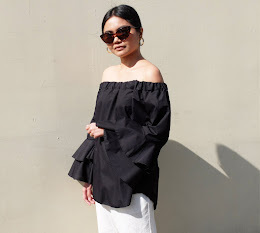 Just like my previous little white dress ensemble, I kept the look simple and accessorized my outfit in neutrals and I also wore my favorite white round sunglasses which you can get here. I love the photos! I went trhough your blog and instantly became a fan! You looked so princessy on your wedding! lovely pics and your dress is soo elegant and gorgeous. Happy bday to ur hubby :). our journey in europe through your blogs has been amazing..thanks Lex!